Palestinian Authority media outlet uses image of rabbi murdered by terrorists in article alleging Jews 'assaulted Palestinian child'. 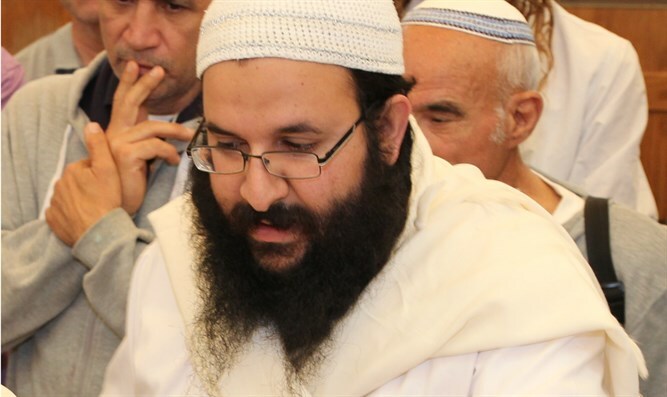 One of the most popular media outlets in the Palestinian Authority is under fire Thursday, after it used the image of a slain Israeli rabbi to illustrate a piece accusing Jewish youths of attacking a PA resident. On Thursday morning, a news item posted by the Palestinian Information Center accused “extremist settlers” of attacking an Arab minor in the city of Hevron. Underneath the headline, the PIC included an image showing masked Jewish youths speaking with IDF soldiers during clashes with local Arabs. In the picture, standing behind several of the youths is Rabbi Raziel Shevach – an Israeli father of four and resident of the town of Havat Gilad in Samaria who was murdered by Arab terrorists in January. While the accusations in the PIC item are typical for the outlet, its use of a photograph featuring a terror victim in such a context drew sharp criticism. The image, taken by Jaafar Ashtiyeh for Getty Images, is originally from February 28th, 2012, during clashes between Jews and Arabs in Samaria. Yael Shevach later spoke with Arutz Sheva about the discovery that her husband’s image was being used to illustrate a PIC propaganda piece accusing Jews of attacking Arabs.